If I could relive my time at NTU, I would do it in a heartbeat. Definitely the best choice I ever made! I decided to carry on studying Biomedical Science at postgraduate level, which I also studied at NTU. I felt gaining an additional qualification in the area would be more beneficial. Improving my knowledge base was another factor that led me onto postgraduate study, as I would feel more confident going into a work environment with extra knowledge on top of my BSc degree. The 25% off tuition fees for alumni students helped a lot as well. I was unsure of where I wanted to do my Masters and what I wanted to do it in. When I began researching I found NTU did MSc Biomedical Science, this was very fitting as I did not know what area I wanted to specialise in yet. I would absolutely recommend my course to new students. If you are like me and want to further your knowledge in the area of Biomedical Science but not sure on one specific area, then this is a great choice. Just like my undergraduate degree, the MSc degree is accredited by The Institute of Biomedical Science (IBMS). I like that over the course of two terms, you are able to choose four modules to carry out as well as the two compulsory modules. This gives you the option to develop further knowledge in a handful of subjects areas. The reason I chose Biomedical Science in the first place was because I thoroughly enjoy lab work, and this subject offers a lot of it. I did a 6 week long research project in my first degree which I really enjoyed, so having the option to carry out a 3 month long research project for the entirety of the third term was a definite plus for me. What are the teaching facilities like for students? The lab facilities at NTU are amazing - that was another major plus! The main reasons I chose NTU in the first place was because of the lab facilities and the helpful staff that work there. Postgraduate study is a lot more independent but I feel this is more beneficial as it begins to prepare you for further study or entering the workplace, There are not as many lectures or seminars due to reduced number of modules that you study. Module leaders will set seminars aimed at ensuring everyone understands the topic and if anyone needs help or clarification, they can get them during these seminars. Having to study and working a flexible part-time job, I feel efficient time management and life management helped me balance all aspects of my life. If I had deadlines I would make sure to spend at least a couple of days in the library during the week but also have at least one day off in a week for my own free time - which I think is healthy. I've significantly increased my knowledge and understanding of my subject and feel I have improved my ability to carry out assignments in a more confident manner. With my new skills and confidence, I am looking to possibly get a job working in a hospital pathology lab in the blood sciences department. 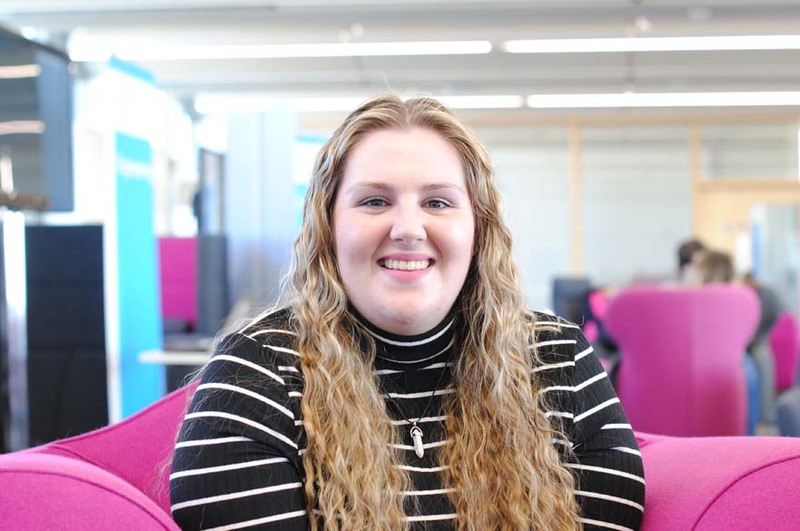 I am a Student Ambassador for the university which involves taking part in university open days and answering questions future students and their families have. It gives me the opportunity to showcase NTU and share my personal experiences. There is a Postgraduate Biosciences Society which I am currently Vice President - this was introduced the year I started my MSc by my friend who is the course representative student. I have thoroughly enjoyed my time at NTU, the city is so friendly and there is always something to do. The university itself is student orientated and are constantly improving themselves to ensure everyone is getting the best university experience. The NTSU has such an integral role here at NTU as it helps involve students in a wide variety of social and educational-based activities, Varsity sport and societies. The university has such varied choice of societies that no matter what your interests are, you can find people to socialise with. There are student services, employability team, library staff and student mentors who offer a broad range of support from daily life to academic support, depending on individual needs. Try not to take university seriously, yes you need to be serious in your studies and put every effort in but remember to enjoy university too as it is also very important. If you don't enjoy what you are doing you will be less inclined to put your everything into it. And most importantly, do not be afraid to ask for help if you need it!